I had been anticipating the arrival in the UK of this production of Harold Pinter’s 1974 play ever since its 2013 Broadway run and thanks to the wonderful decision to tour the production around the UK, I was able to see it at the Lyceum in Sheffield, in advance of its arrival in London next month. I didn’t know anything about the play before the show and I think it’s fair to say that having now seen it, I’m still not entirely sure what it was about! Thankfully though that seems to be the common reaction from anyone watching No Man’s Land, especially for the first time. The play takes place in the Hampstead home of Hirst (played Patrick Stewart), who after meeting him in a pub, has invited another man, Spooner (played by Ian McKellen) back to his home for another drink (or three!). As the evening draws on and moves in to the following morning, we watch as the complex dynamic between the two of them unfolds, particularly when they are joined by two younger men (played by Owen Teale and Damien Moloney), who supposedly work for Hirst, although even this doesn’t ever feel certain! No Man’s Land is a very strange play. There is no clear path as to where the story is going and you are never really sure whether what you are seeing is even reality. Have Hirst and Spooner only just met that night, or have they been literary rivals for years? Is one man weak compared to the other and if so which one? Over the two halves of the play we see each of Stewart and McKellen take on the role as the more dominant, more confident man, which adds to the complex nature of Pinter’s work. Just when you think you at least understand the personalities of the men, Pinter wrong foots you and has you yet again questioning exactly what is unfolding in front of you. It’s possible that the whole play could just be happening in Hirst’s mind, as he nears the end of his life, in the no man’s land between this world and the next. 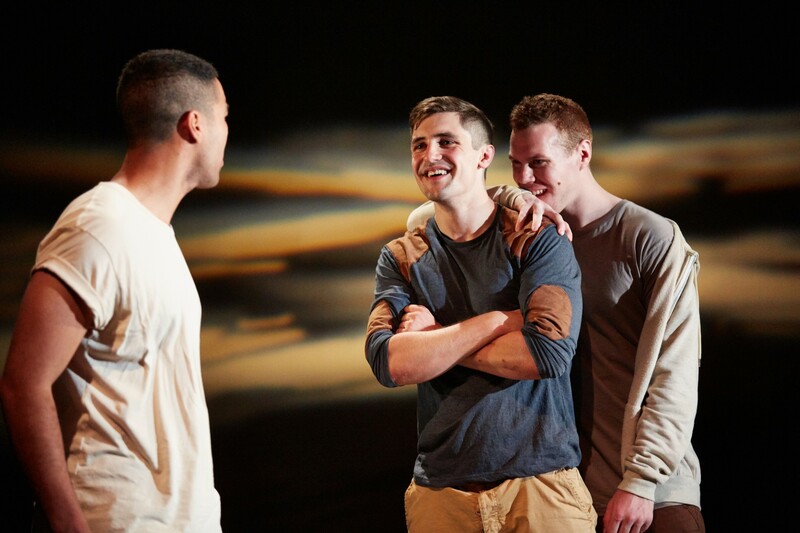 Due to all of these uncertainties, No Man’s Land is not an easy play to watch, simply for the fact that it challenges its audience; it makes you think, assess, question and ultimately remain unsure as to exactly what you have seen! It therefore won’t appeal to everyone, but although it frustrated me and wasn’t as funny as I’d hoped, I enjoyed the fact that it left me wanting to read more about the play and what others think about it. The biggest attraction here is of course Stewart and McKellen, two of our finest actors and they are, as usual, wonderful to watch together on stage. I’ve been lucky to see them both on stage before, both separately and together in Waiting For Godot and it is always a thrill, even when the material is a little surreal! This play provides each of them with the opportunity to portray almost two different men, with McKellen the more dominant and in control in the first half, before the tables turn in the second, transforming Stewart’s Hirst, from a frail man to one very much the master of his home and all those in it. Crucially too, the play provides the opportunity for both humour and moments that are much more disturbing in tone and together with Owen Teale and Damien Molony (both of whom are very good in their supporting roles), all four actors do a wonderful job of bringing these complex men to life. So, did I enjoy No Man’s Land? Yes and no. It wasn’t what I’d been expecting and although I was frustrated by the surreal nature of the play, I thoroughly enjoyed watching such superb actors spark off each other and I’m sure fans of both of them will revel in the opportunity to see them live on stage. If you’re prepared to spend a night at the theatre that will pose more questions than it answers then it’s worth a visit, especially when its tour is providing the opportunity for audiences outside of London to see it too. I will always remember experiencing Peter Jackson’s Middle Earth for the first time at my local cinema in December 2001. I assume the feelings of awe and wonder I had back then were similar to those that people had when Star Wars was first released in 1977. I hadn’t read the books and wasn’t sure what to expect, but I was drawn in to the magical world by the sheer spectacle and beauty on the screen before me. Thirteen years later and I’ve recently watched the final Hobbit movie, which I very much enjoyed and as the films are brought full circle, it was inevitable I’d then be drawn back to the original trilogy. So much has already been said about these wonderful films, so rather than review them, I thought I’d choose my favourite scenes from the trilogy and see what choices other people have. I couldn’t rank them so they are listed in order of how they appeared on screen. This will always be one of the most significant moments of cinema for me, as I will never forget seeing this for the first time back in 2001, not sure what to expect and utterly in awe of the incredible scenes created on screen before my eyes. In a few short minutes we are introduced to the world of Middle Earth and the haunting voice of Kate Blanchett is perfect. The stand out moment of the prologue has to be the defeat of Sauron. Visually stunning. 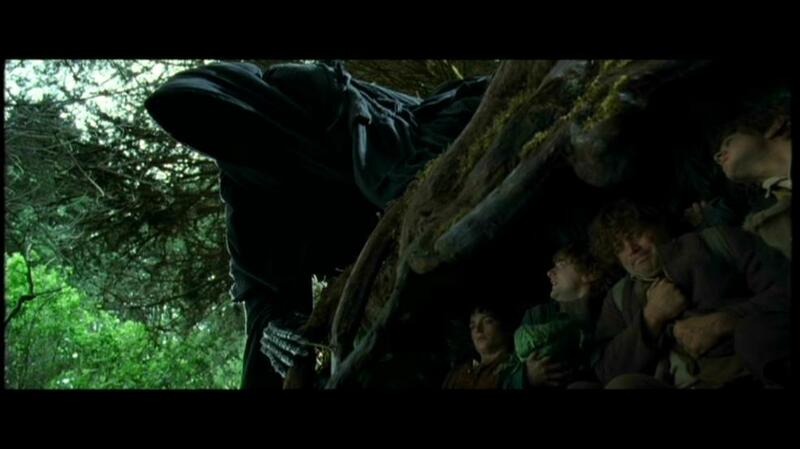 I still think The Fellowship of the Ring is my favourite of the three films and the scene in which the hobbits hide from the black-hooded Nazgul in the forest is a brilliantly tense moment. The black riders are scary enough in themselves and having them appear in the tranquil woodland, turning it in to something much darker and frightening was incredibly atmospheric. 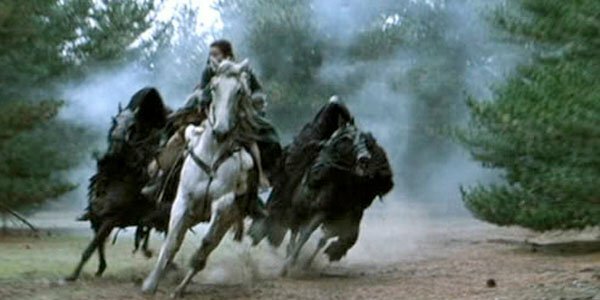 Liv Tyler proved her character’s strength and bravery as she rides out ahead of the Nazgul to get Frodo to safety. It’s a chase sequence that genuinely keeps you on the edge of your seat, as the hooded riders inch ever nearer to grasping him. The stand out moment of the scene for me though is the aerial shot of the one white horse dashing across the plain ahead of the black horses and riders closing in behind. It just looks incredible and was one of the early shots where we started to see what an amazing backdrop New Zealand was. Gandalf has been reluctant to enter Moria and once inside, the true horror of what has happened there becomes clear, as the Fellowship enter the tomb of Balin. 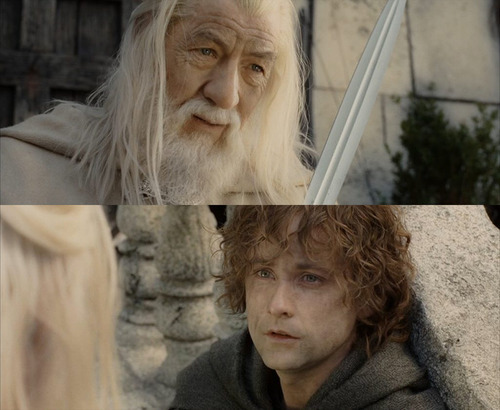 This is a very tense scene, as Gandalf reads the dying words of Ori, who recorded the final battle of Moria and the audience waits anxiously for whatever enemy is about to emerge from the darkness. The scene also has added poignancy after watching the Hobbit trilogy, in which we have got to know Ken Stott’s Balin, as well as Adam Brown’s Ori (who in the DVD extras of The Hobbit: An Unexpected Journey, Peter Jackson highlights is the skeleton whose book Gandalf reads from). Ian McKellen is so wonderful in these films (and the Hobbit trilogy) and I can’t imagine anyone else playing Gandalf with such depth and gravitas. The entire sequence at the Bridge of Khazad-dum is superb, but the specific moment I had to pick was when the Fellowship watch Gandalf plunge to his death after his brave defence against the Balrog. It’s a powerful moment in the first film and the moments of grief immediately afterwards are very moving. Ahh Aragorn. Most people I know who love Aragorn and certainly all women who love Aragorn, seem to agree that one of his finest moments is when he arrives at Helms Deep after being thought to be dead, throwing open the doors in perfect hero style. He just looks fantastic and you see a true King stepping up. Gollum is such a wonderful character in the trilogy (and indeed in the first Hobbit film) and that is largely down to Andy Serkis’s phenomenal effort in what, at the time, was a very new and untested medium of film making. 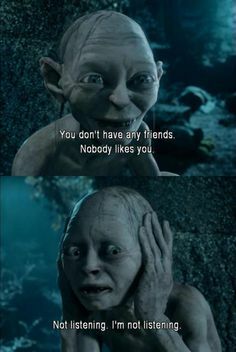 No scene captures the brilliance of the character more than the conversation between Gollum and Smeagol, in which we see the constant struggle of the two sides of his personality. It’s clever and rather funny too and remains a highlight for me. 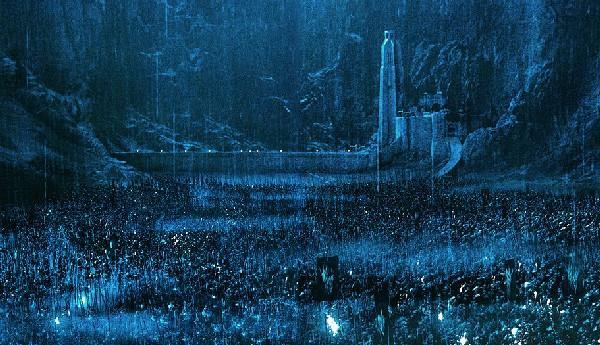 We have now witnessed many battles in Middle Earth over the six films released since 2001, but I think the Battle of Helms Deep is still my favourite and the most impressive. It may be because it was the first true battle of Peter Jackson’s vision that we got to see – the darkness, the rain, the huge army stretching out forever. 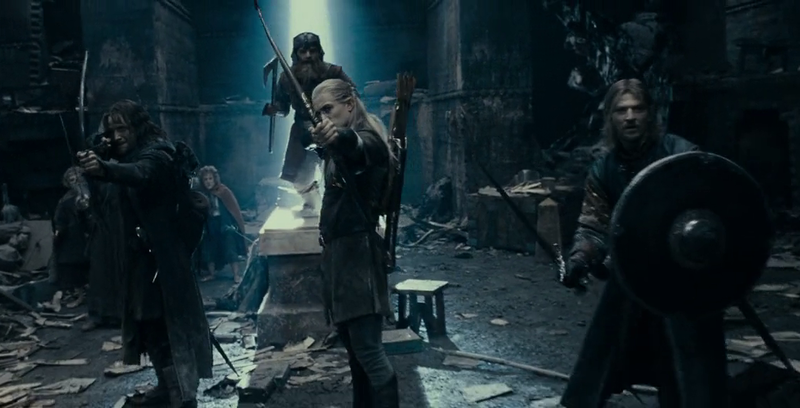 However, it’s also filled with tension (Legolas desperately trying to take down the runner with the bomb), action, humour (Legolas and Gimli are such a superb pairing), emotional depth and incredible visuals, culminating in the spectacular moment Gandalf arrives in the East, leading the charge to victory. It still impresses me every time I watch it. Sam is one of my favourite characters of the whole trilogy (and let’s face it, without him Frodo would have totally given in to the power of the Ring). He also has one of the most moving scenes and that’s his heartfelt monologue towards the end of The Two Towers, which plays over the victorious scenes at Helms Deep. 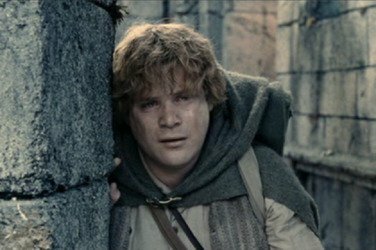 Sean Astin plays the scene so well that it brings a tear to my eye every time. 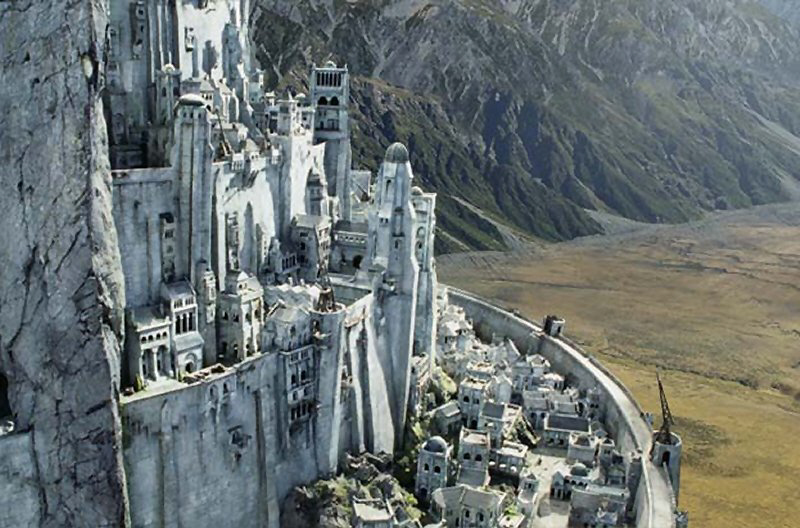 As someone who hadn’t read the books I had no expectations as to what places or characters should look like, but regardless of that, seeing Minas Tirith for the first time was a glorious moment in the films. Accompanied by stirring music by Howard Shore, we journey with Gandalf as he travels up the levels of the white city to the very top, in which we see each and every detail created, whether through miniature or visual effects. It’s a stunning cinematic moment. 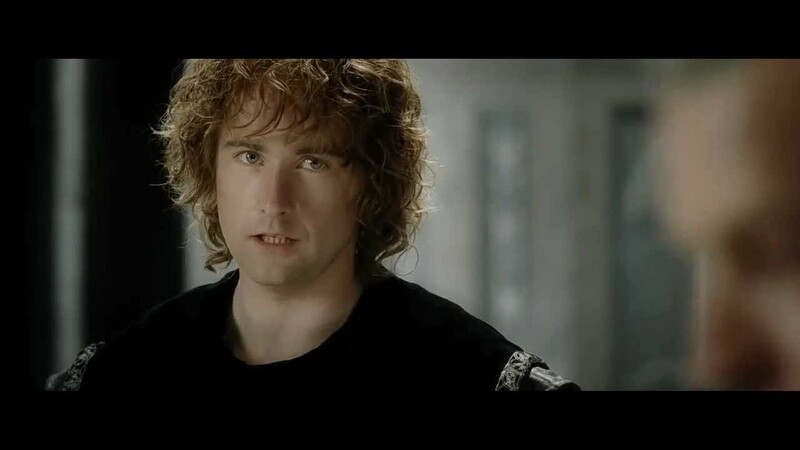 Frodo may be the ring bearer but each of the hobbits gets their special moments in the story and the first of my choices involving Pippin is the powerful scene in which, as a Guard of Minas Tirith, he has to sing, while he is all too aware that Faramir and the brave men of Gondor are riding out to certain death, which is intercut with Denethor greedily eating his food. One of the most poignant moments of the trilogy. In a change from the book, when Gandalf and Pippin arrive in Minas Tirith the beacons have not been lit due to Denethor’s refusal to ask for help. In a fantastic scene, Pippin climbs up and lights the first beacon, causing a domino effect to ripple across the landscape. With beautiful music from Howard Shore and stunning New Zealand scenery, the lighting of the beacons always shines out to me as a gorgeous moment of all three films. The battle scenes of The Return of the King are undoubtably impressive, but the moment that stands out for me is when the Army of Rohan finally arrives at Pelennor Fields and after a stirring speech by King Theoden, charge down towards the enemy. It’s an incredible moment in the film, but also in the making of extras too, as you see just how many horses actually did that charge for real! 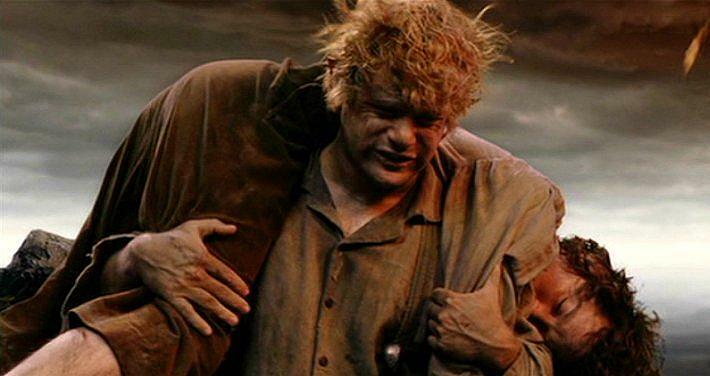 I’ve already mentioned that I’m a big fan of Sam and this list wouldn’t be complete without including his last act of dedication to his friend, as he carries Frodo up Mount Doom. Sam truly grows during the story, while remaining steadfastly loyal and it always chokes me when he vows to carry his friend as his way of helping him bear his heavy burden. That’s true friendship if ever I saw it. …So do you agree with my list? It was quite difficult to decide on, as there are so many wonderful moments across the trilogy. What is certain though, is that I will always see Peter Jackson’s The Lord of the Rings as a truly special piece of cinema. I love films and many are wonderful. However nothing else quite elicits the same awe and appreciation for just how glorious a film can be and I know I’ll continue to love them for many years to come. For a last bit of nostalgia, here is a brilliant visual retrospective of the trilogy by Steven Thomas. 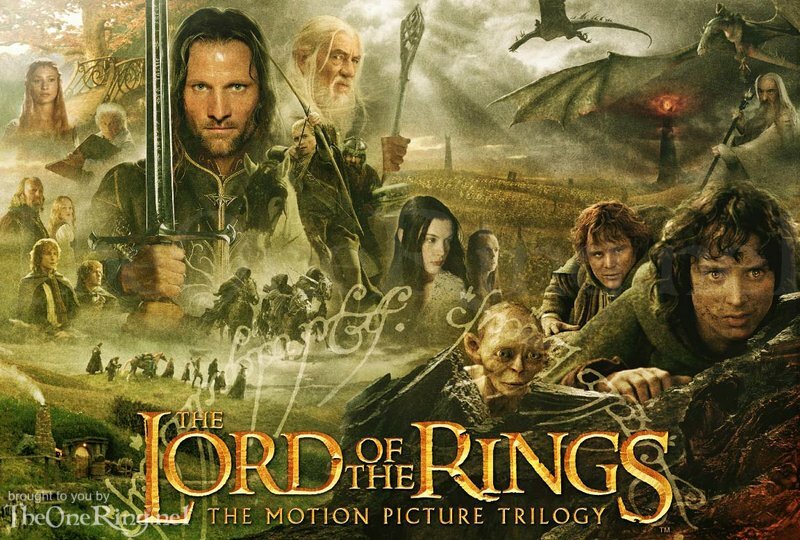 All photos / images ©2001.2002.2003 The Fellowship of the Ring, The Two Towers,The Return of the King. “ALL RIGHTS RESERVED” by ©Time Warner New Line Cinema, WingNut Films, The Saul Zaentz Company.